These children then make their way into our nation’s classrooms. They not only come with the obvious physical and academic limitations but with social deficits, as well. Therefore, as educators, it is imperative to be armed with both the knowledge of what to look for in these special students and a variety of interventions to assist these students with the daily activities in school. With the rapid development in both social and emotional aspects of life occurring during childhood and adolescence, this period of time can be daunting to those with TBI. A journal written by Prigatano & Gupta (2006) state that these challenges are due to the fact that emotional welfare and self-esteem are of great importance to the creation of friendships and social interactions with peers (Ross, McMillan, Kelly, Sumpter, & Dorris, 2011). Social isolation is often as a major issue for students with TBI. In fact, a study by Hoofien, Gilboa, Vakil, and Donovick from 2002 reports that one-third of teenage participants with TBI expressed having no social contacts outside of the family unit (Saxton, Younan, & Lah, 2013) While another study of elementary-age students with traumatic brain injury conducted by Ross, McMillan, Kelly, Sumpter, and Dorris in 2011 suggests that these participants did not perceive any issues with friendships or report any higher rates of loneliness when compared to peers. Likewise, the same study reports that parents or other caregivers of these students believe their child has an adequate number of friends and is successful with social communication. The comparison of these two studies supports my opinion that students with TBI in an early childhood setting have an easier time with social interactions at a time when these relationships are less complex and the child is in a more supportive, smaller educational environment. Furthermore, evidence from Gauvin-Lepage and Lefebvre in 2010 supports that cognitive training in the elementary years can improve social function during adolescence (Ross et al., 2011). The identification early on of a student with TBI will allow for early interventions that could hopefully prevent, at least to some degree, the social relationship issues of adolescent students. Middle school and high school aged students with traumatic brain injury can have psychosocial or behavioral problems. Researchers Farmer and Peterson (1995) declare this generally results from a decreased ability to self-regulate or self-monitor daily activities and social interactions (Aldrich & Obrzut, 2012). Oftentimes, academic performance and peer relationships can be hindered by these behavioral and emotional issues. Some of these complications, according to Jantz and Coulter (2007) can be exhibited by saying or doing things without considering consequences, unexplainable mood swings, not accepting of limitations, uncontrollable anger, impatience, reluctance in participating in activities both in and out of class, inability to remain focused on academic responsibilities, difficulty with maintaining positive relationships with peers and teachers, or appearing to be apathetic (Aldrich & Obrzut, 2012). Moreover, some of these emotional and behavioral issues can impede a student’s performance in the classroom. Farmer and Peterson (1995) further explain that these issues could manifest in many ways, including: disorganization, inconsistent performance from one moment to the next on the same task or objective, inability to transition from one task to another, decreased ability to select key point or summarize lecture or reading passages, or trouble staying on-task (Aldrich & Obrzut, 2012). 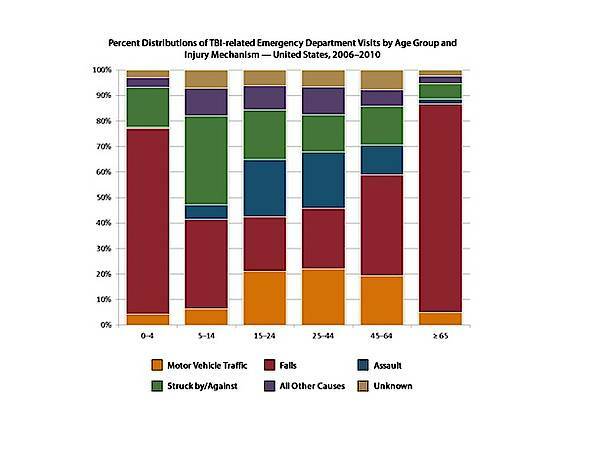 The range of TBI is wide, spreading from a mild concussion to a catastrophic phenomenon. Therefore teachers, school psychologists, administration, and other school faculty members need a wide variety of interventions in their toolbox in order to reach as many of these students as possible. Before implementation of any type of intervention can take place a team comprised of several teachers should meet to determine target behaviors that can be put into place. Dykeman (2009) explains how this could be accomplished with a Functional Behavior Plan (FBA). An FBA will allow the team to measure, examine, and ultimately treat any shortfalls a student might have which are associated with a TBI (Aldrich & Obrzut, 2012). The team can then determine the order in which to implement these behavioral changes, with the most-telling deficits being tackled first. The setting or school environment, as well as consequences for failure to meet these changes, should also be stated in the FBA. Aldrich and Obrzut (2012) later cite research by Szekeres and Meserve (1994) and Bowen (2005) which details intervention options that the team might consider, such as: preferential seating, frequent breaks, a shortened work time classroom routines, homebound instruction, smaller class size, schedule change, or a gradual increase to time in the classroom. Furthermore, examples of academic areas where a student with TBI may have shortfalls are organization, literacy, attention, and memory. Looking first at the area of organization, some teaching strategies that could be utilized are assigning peer buddies to help keep the student on task and a well-documented daily schedule that the child can see. This schedule can even be displayed with pictures and clocks for lower-functioning students. In addition, students can be taught to use outside assistance such as planners, checklists, or other graphic organizers in order to improve organizational skills and help overcome this deficit. Moreover, several interventions can be used to obtain targeted behaviors in the area of literacy. First of all, some learning strategies that can increase a student’s literacy skills are reducing the amount of written work, providing word banks, and the use of shortened reading passages. Using a peer note taker, word processer, or voice recorder as external aids will also help to improve a child’s ability to participate fully in literacy lessons. In turn, this increased participation will lower the student’s overall disabilities in this academic area. Some examples of good teaching strategies that will enhance a student’s ability to focus are allowing for frequent scheduled breaks, simplifying directions, and giving direct instruction at a slower rate. The use of earplugs, timers, and a personal FM system may enhance a student’s ability to overcome attention impairments. External aids that can be utilized in the classroom or other school settings to increase memory are appointment books, checklists, or an accountability partner. Additionally, some learning strategies might be chunking activities into smaller groups, pictorial models, or looking at one activity at a time which will assist children with the same targeted behavior. Although increasing a student’s abilities with each of these academic domains will, in turn, help to alleviate some social misbehaviors, interventions specific to social deficits are also needed. Davies, Jones, and Rafoth completed a study in 2010, where they examined the effects of a self-monitoring intervention used to decrease the number of episodes and increased the use of a targeted behavior. This intervention was the teacher’s use of direct behavior recordings of students with TBI who displayed social misbehaviors. “The teachers used direct behavior recordings that briefly measured the frequency, duration, or intensity of a behavior during predetermined intervals in the students’ natural environments while the students completed self-ratings of their behavior” (Davies, Jones, and Rafoth, 2010, p. 310). Both the teacher’s direct behavior recordings and the student’s self-rating were compared with each other as well as giving the students teacher feedback. The results from this study suggest that the self-monitoring intervention improved the targeted behaviors of students with TBI. Another documented intervention for students with both TBI and challenging behaviors is behavioral self-regulating. The effectiveness of this intervention was evaluated by Feeney and Yvlisaker in 2008. Prior to the study, the authors conducted an FBA on each participant. The intervention procedure for the study included several classroom procedures. This procedure, as well as an explanation thereof, is detailed below. 1. Daily routine: Students were given a voice in the creation of these routines. Both the teacher and the child gave input as to the minimum amount of classwork that was acceptable and how the class schedule should look. After this information was put together, the two would negotiate until an agreement was found. This arrangement gave the student ownership of the day which, in turn, led to increased acceptance, thus improving behaviors. 2. Behavioral momentum: In order to increase on-task behaviors, students were allowed to choose an activity before the lesson was introduced. During the lesson, easy tasks were given to instill positive reactions before more difficult tasks would be tackled. 3. Reduction of errors: Since the experience of mistakes often led to negative behaviors, resulting in prevention of learning, teachers and other staff would consistently model correct methods of completing tasks, such as finding context clues or locating answers in the science book. 4. Escape communication: In this study, the majority of challenging behavior was displayed in an attempt to avoid a person, place, or task. Students were taught how to effectively communicate the need for separation. 5. Adult communication style: All members of the faculty were shown more positive ways of communicating with students. This new communication style was taught in a threefold method. First, staff was encouraged to increase positive reinforcement vocabulary. Next, educators were shown to be proactive in offering assistance in areas that the student perceived as difficult. Finally, the teachers and staff avoided what students could perceive to be nagging. 6. Graphic advance organizers: Photographic cues were utilized to assist stunts with organization. Students would carry binders with pictures reminding them of the daily schedule and targeted behaviors expected. 7. Goal-plan-do-review routine: A graphic organizer was used to remind students what to do, the difficulty level of the task, steps needed to complete the task, and the goal meant to be accomplished from the task. These steps were kept brief and could be paired with staff interactions, as needed. 8. Consequence procedures: The students knew exactly what to expect for a consequence when either a negative target behavior was seen or a positive target behavior was missing. Response from an adult was always given in a positive manner. For instance, the teacher would immediately recognize when a student was not ready to move on, remove the student from the situation, and then allow the child to the correct the behavior and return to the activity when ready to stop the negative behavior. All this was done while the teacher continually offered support, as needed (Feeney & Yvlisaker, 2008). This study’s findings showed both a decrease in the number of negative target behaviors, as well as an increase in positive ones. Finally, another study by Agnihotri (2014) shows how art-based interventions can facilitate social skills and participation in youth with traumatic brain injury. This was a pilot study which examined the effectiveness of the intervention with adolescents. “All participants were at least 6 month post injury to minimize the effects of spontaneous recovery and variability related to injury type on the outcome measures selected” (p. 45). Each student was noted as having significant social difficulties reported by both peers and self. Caregivers also had concerns about aggressive behaviors. The experimental intervention was provided in two classrooms in a children’s hospital. Students were placed in an intensive theatre skills training program. The participants would spend four hours each day in the program with frequently scheduled breaks which allowed for both physical movement and academic downtime. These trainings included voice, movement, character development, group dynamics, and script analysis, as well as many others. The findings of this study showed positive changes in both social skills and leisure activity choices for each participant. Although these interventions were established to improve social skills for students with traumatic brain injury, an added bonus of the program was that it gave the participants skills to be more adaptable in real-life situations. This arts-based approach to interventions is a new idea in the treatment of TBI. However, with the positive results it had, it should be considered as a viable option for students when other interventions have not found success. The researcher’s interest in children with traumatic brain injury is twofold. One reason is my connection to these special children as an educator with 10 years of experience in the public school classroom. As such, I have had several students throughout the years who have suffered some kind of injury which resulted in a mild traumatic brain injury. However, on a more personal note, my youngest child suffered an event as a toddler which resulted in traumatic brain injury. Our family was privileged to take this child into our home, first as a foster child and then as a member of our forever family when we adopted her three years later. Our daughter’s TBI was classified as severe and was caused by Shaken Baby Syndrome. At first, the physical effects of this injury were our primary concern: hemiparesis (paralysis) on the left side resulting in the inability to walk, crawl, or sit with stability; insufficient fine motor skills; bilateral retinal hemorrhaging which affected her vision and depth perception; shunt removal; effects of lung collapse, and later on the onset of epilepsy with absence seizures. However, as our child grew older and many of the residual physical effects subsided, it became obvious that her social skills were underdeveloped, as well, and had equally devastating effects on her daily life due to her inability to communicate properly and respond appropriately with her peers. As a result, my research changed from learning about the physical aspects of TBI to seeking interventions which would best serve my child in both home and school settings. My concern was great because many of her teachers were struggling with how to meet her needs in school. Part of this was the educators’ lack of understanding and experience with children who had experienced a traumatic brain injury. Because of this observation, it became my goal to research and share interventions with education professionals in order to more effectively serve students with traumatic brain injury. Traumatic brain injury affects hundreds of thousands of children every year. These events range from mild injuries to extremely severe trauma and even death. Survivors must live with the residual effects of these injuries. While there are physical and academic repercussions involved, oftentimes it is deficits in the psychosocial realm which cause even more difficulty in the educational setting. During elementary years, students with TBI are many times still able to maintain friendships and do not feel they are ostracized by their peers. However, these same students often suffer from isolation during adolescence due to the changing environment of the middle school and high school setting and the complexity of peer relations during teenage years. Since students with TBI often have difficulty making healthy decisions regarding boundaries and have many social miscues, this can greatly affect their relationships. Therefore, it is imperative that educators work together to provide effective interventions which will support these students and help them to become more successful in their educational journey. Both academic and behavioral interventions are necessary and work in tandem to create this success. Despite the fact that this article has listed detailed interventions that have proven successful in the classroom, there is the need for further studies to be conducted. Aldrich, E. M., & Obrzut, J. E. (2012). Assisting students with a traumatic brain injury in school interventions. Canadian Journal of School Psychology, 27(4), 291-301. Davies, S. C., Jones, K. M., & Raforth, M. A. (2010). Effects of a self-monitoring intervention on children with traumatic brain injury. Journal of Applied School Psychology, 26, 308-326. Saxton, M. E., Younan, S. S., & Lah, S. (2013). Social behaviour following severe traumatic brain injury: Contribution of emotion perception deficits. Neurorehabilitation, 33(2), 263. Pamela Snavely earned her M.ed from Missouri Baptist University I 2009 as well as her Reading Specialist certification. More recently, she received her Ed.S in Educational Leadership from Liberty University. Mrs. Snavely has spent over a decade educating elementary students in the public school system. Her passion for children with special needs stems from working with her own children, one of whom suffers from traumatic brain injury. Deliver curriculum utilizing Target Teaching methodologies. Track student attendance, maintain weekly grades, maintain and make available student grades weekly. Respond to the questions and needs of students who have a variety of ability levels. Be prepared for each class with written lesson plans that adhere to Target Teaching. Maintain a clean, positive, and inviting learning environment. Be on time and prepared to participate in weekly staff meetings. Participate in after-hours extracurricular program events as required. Develop and implement effective classroom management strategies. Conduct large and small group instruction and individual instruction as needed. Work collaboratively with Crescent Leadership Academy staff on implementing a "team" based program. Maintain a three day supply of emergency lesson plans that follow clinical teaching format and define student learning objectives and evaluation procedures. Manage supplies, materials and equipment with an itemized inventory and/or materials safety data sheet when necessary. Instructional strategies and how they can be employed to deliver curriculum and assess student learning. Various methodologies and research related to learning and working with at-risk, high school aged youth. Effective classroom management techniques and behavioral management styles that result in understanding of how to manage and teach to various learning styles. Effective communication techniques that enable positive and productive collaboration with Crescent Leadership Academy staff. Technology and how it can be used as an educational tool. Establish a teaching rapport with students which results in student achievement in all program areas. Collaborate with staff to deliver a consistent curriculum and implement a team approach to working with students. Confront inappropriate behavior appropriately and take the necessary action as outlined in the program procedures. Learn and utilize computers in the overall function of performing required teaching duties. Accept additional tasks as assigned including flexible work schedule and extracurricular assignments. Demonstrated skills in curriculum design, lesson planning, and Clinical Teaching. Must be able to pass State and Federal background checks , educational checks, reference checks, drug test for position. Company offers medical, dental, vision, life insurance, short-term disability, flexible spending plans, etc. after 30 days of employment for teachers. Company also offers tuition reimbursement and 401k match up to 6% after 1 year of employment. Email resume and cover letter to careers@thehelpgroup.org. We are all about supporting our students in becoming capable, responsible learners as well as good people. The role of Special Education teacher for our kindergarten - sixth grade student body is an integral member of a long lasting, supportive team involving students, parents and staff. The ideal person is well organized, has excellent people skills and is a solid communicator with a good sense of humor. Having a full understanding of Special Education law and requirements, differentiated instruction and assessment practices that monitor growth is a must. This person would be responsible for providing effective instruction; innovative approaches and one to one support so that students can figure out how to be successful in meeting their learning standards and showing growth in the guiding principles. Additionally, this staff member will run team meetings using the required forms, and procedures in a timely and clear fashion, be able to facilitate the development and implementation of an I.E.P. 's to students, parents and staff, and to implement and monitor student progress on their goals in an ongoing fashion so that successes can be celebrated and adjustments can be made as necessary. We look forward to adding a positive, hardworking and collaborative member to our two member Special Education team. Job Requirements: The ideal candidate will have certification for Teacher of Students with Disabilities (282E) K-8)or the equivalent from other states, with the required background check. A completed packet will include the following items: a cover letter, a completed ICS application found on our school website, copies of certification(s) or equivalent/applicable certifications, three letters of reference, and transcripts. Salary ranges between BA with 4 years at 40,975 to Master's at 4 years at 43,693. Health Insurance: The school will pay 90% for single coverage and 85% for family coverage. But more importantly, you would be working with the best kids on the planet on a beautiful, K-12 island school in Maine amongst a hard working, creative staff supported by a wonderful community. P.S. We also have an all organic food program! Salary and Benefits: BSS salary is based on experience and education, and was created In consideration of the longer school day and school year. Bright Star Schools will honor up to 5 years on the LAUSD salary scale. Start Date: An exceptional candidate will assume a full time role no later than August 1, 2016. Benefits: Health, dental, vision, STRS retirement matching, life insurance, short-term disability, optional 403b plan, sick and vacation paid time off, and holidays. If you would like to talk more about the experience working for this group of charter schools or if you have any questions, please don't hesitate to reach out to Talent Manager, Leslie Nguyen, at lnguyen@brightstarschools.org. For more information, visit us at www.brightstarschools.org. The Randolph County School System is seeking Special Education Teachers at all levels K-12. The Special Education teacher will develop and implement effective instructional practices based on students' needs as identified in the Individualized Education Plan (IEP). The Special Education teacher will work collaboratively with school staff, IEP team members, and parents to monitor student progress towards IEP goals. Applicants should hold a North Carolina teaching license in special education or a reciprocal license and have the ability to pass appropriate Praxis tests. Visit the RCSS website at http://www.randolph.k12.nc.us and look under employment/certified positions for the online application. Complete and submit to the Randolph County School System. District Director of Special Education/Building Principals. the facilitation of full integration/least restrictive environment and services to students with exceptionalities. Acts as team leader/case manager in the special education process to determine appropriate classroom placement and IEP development for students with exceptionalities. 2. Provides consultation, educational assistance and resources to regular classroom teachers, special education team and administration. 3. Provides leadership and assistance in special education program development and evaluation. 4. Works with special and general education teachers, jointly and individually, to program for students based upon their unique instructional and behavioral needs. 5. Ensures the implementation of all statutes, regulations, policies, and procedures for special education. 6. Collaborates with general education teachers on curriculum development, student performance and progress. 7. 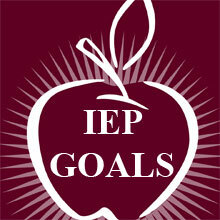 Works with students with exceptionalities on IEP goals and objectives and evaluation of the students' progress. 8. Serves as advocate for parents and students to assure least restrictive environment placements for each child needing special education and related services. 9. Supervises, trains, and evaluates special education paraprofessionals. 10. Helps arrange schedules in buildings, as requested, to facilitate inclusionary practices. 11. Facilitates and administers appropriate state and local assessments for students with exceptionalities. 12. Maintains all appropriate student records for reporting purposes to local, state and federal agencies. 13. Performs related work as assigned. 1. Meets certification requirements as established by the State Department of Education. 2. Demonstrated ability to work collaboratively with administration, teachers, parents and students. 3. Knowledge of behavioral and learning strategies. 4. Meets all requirements as set forth by UDS #383 Board of Education. Multiple positions in Phoenix, Tempe, Surprise, Buckeye, Casa Grande, Tolleson, Yuma, and Higley. Relocation assistance and Referral Bonus for specific positions. Desert Choice Schools, a Learn It Family of Companies division, is a certified K -12 Private Day School approved by the Arizona Department of Education to provide Special Education Services for the following disability categories: Autism (A), Emotional Disability and Emotional Disability-Private (ED) (ED-P),Developmental Delay (DD), Mild Intellectual Disability (MIID), Moderate Intellectual Disability (MOID),Orthopedic Impairment (OI), Other Health Impaired (OHI), Specific Learning Disability (SLD), Traumatic Brain Injury (TBI),Visually Impaired (VI), and Speech-Language Impairment (SLI). Desert Choice Schools utilizes a highly-structured, school-wide Positive Behavioral Supports program that teaches students Academic, Social/Emotional Problem-Solving and Strategies. All DCS teachers and support staff are trained in a unique methodology that assists students with maintaining Positive Choice-Making. Special Education Teachers work in a school-based setting and are responsible for providing an educational atmosphere where students have the opportunity to fulfill their potential for intellectual, emotional, physical, and psychological growth. This person is responsible for organizing and implementing an individual instructional program that will result in students achieving academic success in accordance with policies. Develop and implement student Individual Education Plans. 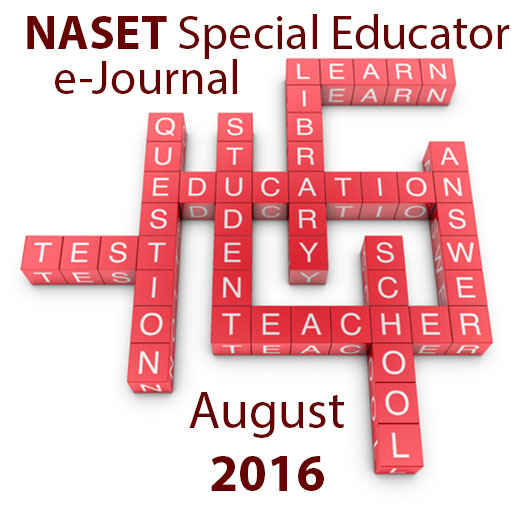 At least 1 year of experience working with students with emotional disabilities preferred. Spanish speaking a plus. Not required. Desert Choice Schools offers a competitive compensation plan, comprehensive benefits and retirement plan, tuition assistance reimbursement, relocation assistance and travel reimbursement (for many on-site programs), referral bonuses. We are most proud of Desert Choice School's collaborative team approach, professional development, and structured, strong mentorship program. Beach Cities Learning, a division of Learn It Systems, is currently hiring Special Education in the Greater Los Angeles area/Inglewood. We specialize in employing qualified professionals to work with behavioral and emotional needs students in small group settings. Our services tailor to meet the needs of each district partner and family. The Special Education Teacher is responsible to implement all Beach Cities Program Components with integrity as well as oversee two behavior technicians' implementation our programs. Learn It Systems/Beach Cities Learning is an Equal Opportunity Employer. Candidates must be presently eligible to work in the United States. The International Community School (ICS) is an International Baccalaureate World School that educates refugees, immigrants and local children, and provides a rigorous and holistic education in an intentionally diverse community of mutual learners. 1. Teaches content and skills in all subject areas utilizing curriculum designated by ICS through the Common Core Standards and Georgia Standards of Excellence along with the effective implementation of the International Baccalaureate Primary Years Programme (IBPYP). 2. Create a developmentally appropriate, child centered environment that establishes positive behavioral interventions. 3. Provides quality instruction/services to special education students based on IEPs and conducts regular progress monitoring to address adequate progress and school targets. 4. Collaborates with general education teachers and support personnel to ensure implementation of required IEP services and accommodations and assures frequent reviews. 5. Evaluates academic and social growth of students (pre-post tests), analyzes data, prepares report cards, keeps appropriate records (to include attendance reports, checklists, and other recordkeeping activities) as necessary. 6. Evaluates each student's progress in meeting the Common Core and Georgia Performance standards. 7. Establishes and maintains standards of student behavior needed to provide an orderly, productive, and safe classroom environment. 9. Communicates with parents and school counselors on student progress. 10. Participates in staff meetings, joins a staff committee, and supports student activities (i.e. IB Exhibition, Drama, and Photography Club). 12. Teaches through a student centered, inquiry-based creative approach. 13. Proven track record of student success on formative, summative and standardized tests as well as impacting student social and emotional well-being. 14. Develops a multicultural learning community that emphasizes respect for diversity. 15. Engages with the community and works with translators and social service providers to help ensure a continuum of support between the home and school. Compensation packages are competitive and commensurate with experience. International Community School offers a comprehensive benefit package that includes medical, dental and vision, life and disability coverage. Employees also participate in TRS (state retirement system).